Your link has been approved. 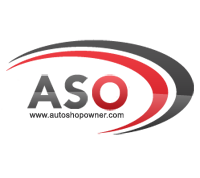 Welcome to autoshopowner! I have always used Robinair. 5 years ago I bought a new machine and it had an internal leak or something after a year. Robinair replaced it for free!!! $189.99 for an A/C evac and recharge with die. I offer free leak check and free recharge for one week if a leak is found in that time and the customer returns for a leak check in a week. We added 3 new forums to AutoShopOwner under General Discussions. Non-Automotive Discussions Here you can start a non-automotive related topic for discussion. members can discuss whatever they want in here! Photos and Videos - Any Here you can post any type of photo or video from another site or include links from the AutoShopOwner Gallery. It does not have to be automotive related. Anything you would like to share or discuss. Outside The Shop What do you do outside of your shop? What vacations have you taken? What hobbies do you have? Share your interests outside of your shop, with the community. Steve, all we saw there was the quote from the previous post. We've just added a glossary of automotive terminology. It is located HERE You will also see a link in the navigation panel on the start page when you log in. In the NETWORK section. main menu under TOOLS. We welcome your suggestions. Steering and Suspension Check This is technician steering and suspension check form. You may inquire about having this form customized to for your shop. Brake Inspection This is technician brake inspection form. You may inquire about having this form customized to for your shop. Comeback Report This form is designed to help you evaluate, track, and identify customer comebacks to your shop. You may inquire about having a customized form made for your shop. The downloads section is now available for our members and can be found at DOWNLOADS We have also added Recent downloads on the NETWORK page. More content to come. We have added user avatars to the member avatar selections. Vehicle manufacturers and Company Logos. Any suggestions tha we missed, please post here. We have launched AutoShopOwner.com! This is a BETA launch as we are still testing There are different areas of the site that are being worked on. What does BETA mean? This means that you may experience minor glitches in functionality. This is a testing period. Pleas report any bugs to this post. More to come. <span style="font-size:12pt;line-height:100%"><b>Telephone Answering Policy and Tips</b></span> Telephone Answering Policy and Tips. Here is an outline to have your associates follow when answering the telephone and conducting conversations with customers. You may inquire about having this form customized for your shop.